Our bright & modern Business Hub is now open for hire! 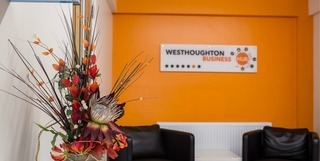 Located near to Westhoughton High School & Leisure Centre, the Business Hub aims to assist local businesses with the challenges that they face, by providing high quality, low cost meeting space. The Hub offers practical services to help businesses grow, reduce overheads & thrive for years to come.